Now in foal to a mammoth jack for a 2013 spring mule baby!! 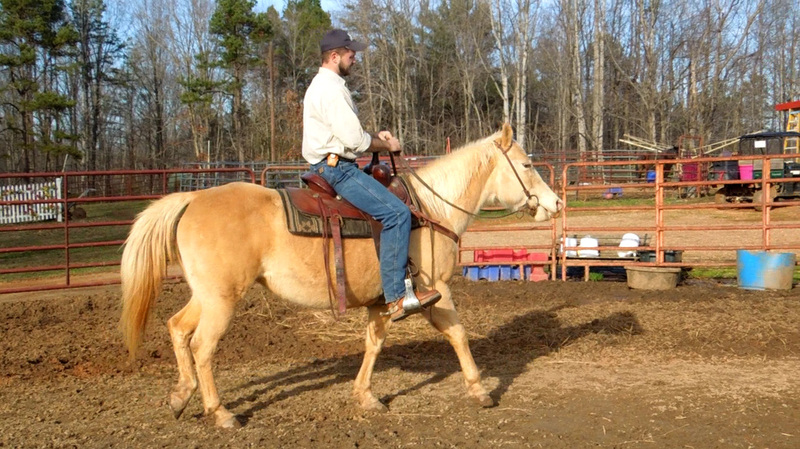 This mare is available for sale and is back at the farm. She was turned out to pasture with a black mammoth jack, standing approx 14.3-15h, March 5th 2012. She will continue to be pastured with him for the coming months, and will sell bred and due to foal a mule to her new owner for next year. We didnt train on this mare, didnt do anything but hop on her and go. She needs some saddle time to be finished but isnt mean. You can put her behind another horse and she just plods along...next to traffic/horses/wagons/etc. By herself she just doesnt "know" whats being asked of her.